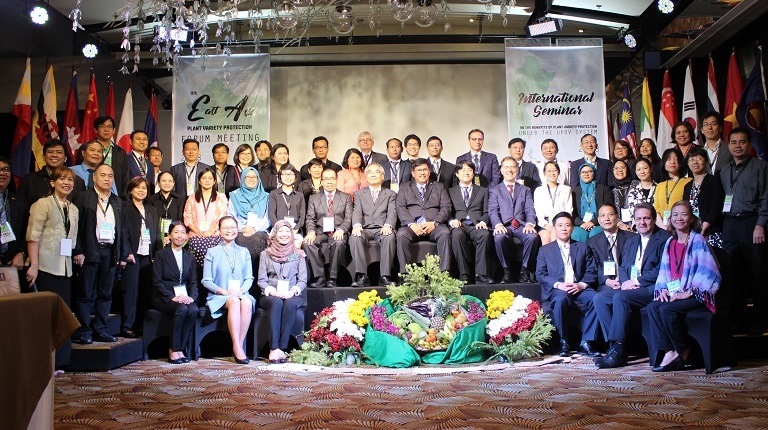 During two days, ASEAN* countries representatives in charge of plant variety protection were together to share informations and knowledge regarding the interest of plant breeders’ rights conform to the UPOV convention. Organised on August 1st and 2nd, 2018 by the department of Agriculture of Philippines with the support of Japan ministry of Agriculture and UPOV office, this seminar gives opportunities to some countries members of UPOV to report about the interest of plant breeders’ rights in their countries. It was the case of Viet Nam, one of the very few ASEAN countries which is already member of UPOV. Since 2007, thanks to this legislation, the number of new varieties which was only 9 reached to 266 in 2017. An independant study shows that the breeding investment per year of public and private vietnamese seed companies is 700 times more important today than before 2006 and the increase of average income in one hectar for rice farmers is 50%. Many ASEAN countries which are in the process to adopt intellectual property rights legislation were very interested by this testimony. This seminar was organised at the occasion of the East Asia Plant Variety Protection Forum and GNIS has been member of this forum for many years.